Every Sunday, we post 5 of the best geofilters we have seen during the previous week. If you are looking for some Snapchat geofilter ideas or design inspiration, check out our 5 favourites from this week below. This geofilter was created for the inspirational Snapchatter Leo Horowitz. It features a custom illustration of Leo with a design that shows off his personality and the theme of his content. Leo used the geofilter throughout the week as he kept up with his daily stories on topics that are important to his following. 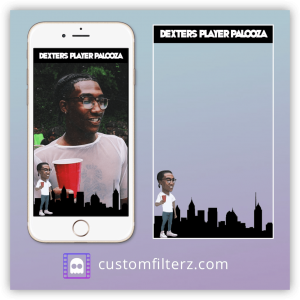 We are working with Leo to create custom geofilters that are branded with various portraits to help build his personal brand. You can follow Leo and see the geofilter design in action by adding him on Snapchat at @leo_horowitz. 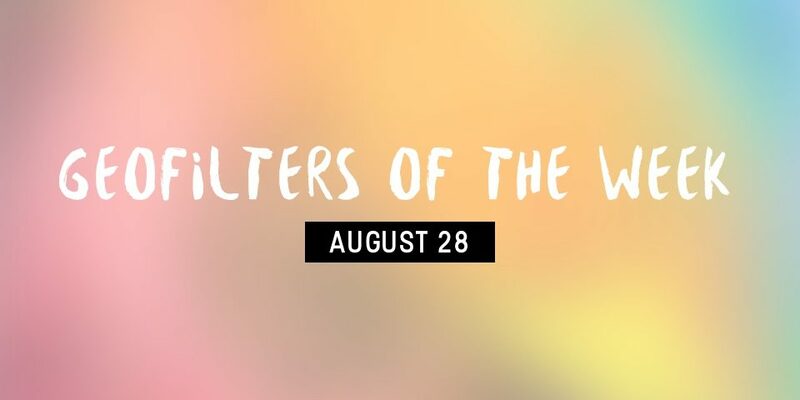 The theme for Leo’s filter is changing next week and is sure to make an appearance in next weeks top 5! 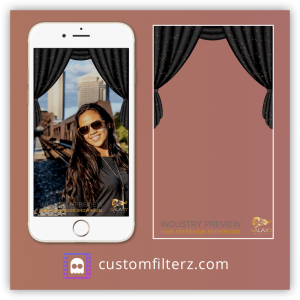 This weeks number 2 is a custom filter created for a birthday party. Again, this one features a custom illustration which gives an added level of personality to the design. This geofilter design came out great and we know the guests will be impressed! 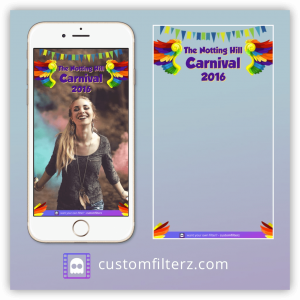 Notting Hill Carnival only comes around once a year and is packed with hundreds of thousands of people, so it was the perfect chance to use a geofilter! The design covered some of the busiest parts of the carnival with the aim of getting as many views a possible. We are still waiting on the stats but will report on them in a future blog post. We are expecting big numbers. We were proud to work with Javon Alvin from Alphalete Athletics on this geofilter design. 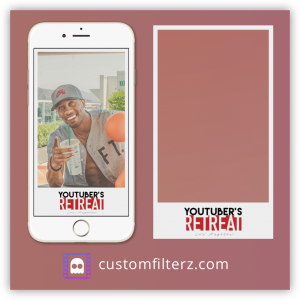 Javon used the filter for a 2 day event called ‘The YouTubers Retreat.’ It was a gathering of some of the biggest YouTuber influencers for a series of seminars and talks followed by a party that looked amazing! It was great to see so many YouTubers using our design and watching the geofilter rack up hundreds of thousands of views each day. The fifth and final design of this weeks top 5, is a geofilter for business. It was created for Galaxy500, a hair extension company for an industry preview of one of their products. Galaxy are definitely ahead of the game with their social media strategy! They have seen the value of Snapchat and the opportunities it provides for creating a buzz around an event. Keep it up guys! As always, we hope you enjoyed this post. 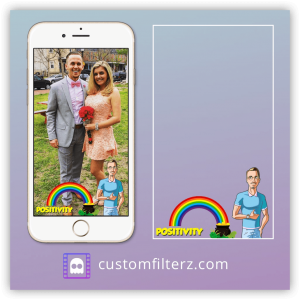 Check out our blog if you would like to read more about Snapchat and geofilters in particular.